The publisher of a satirical French magazine who was killed in an attack on the publication’s offices on Wednesday had been listed as a target in an online magazine distributed by the terror group Al Qaeda. 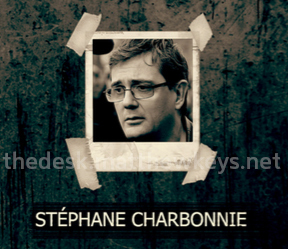 Stéphane Charbonnier was one of eleven people accused of “crimes against Islam” in the Spring 2013 edition of “Inspire,” an English language online magazine published quarterly by Al Qaeda. Charbonnier, who was better known by his pen name “Charb,” was fatally shot after masked gunman infiltrated the magazine’s office in Paris on Tuesday. Eleven other people, including four cartoonists and a police officer, were also killed in the attack. French police have identified three suspects allegedly responsible for the attack. While politicians in the country have labeled the attack an act of terrorism, it is unknown if the three men have any affiliation to a terrorist organization. Charbonnier’s magazine “Charlie Hebdo” had a long-standing reputation of publishing crude and somewhat offensive caricatures of prominent figures in politics and religion. The magazine’s cartoons depicting the prophet Muhammed drew the most criticism from Islamic groups because some religious teachings forbid showing artistic interpretations of the prophet. In 2007, the magazine was sued under France’s intolerance laws by Muslim groups who alleged certain cartoons published in Charlie Hebdo were racist. A court later found in favor of the magazine. Four years later, journalists were forced to relocate after Charlie Hebdo’s offices in Paris were firebombed. The attack happened days after the publication comedically announced it would change its name to Charia Hebdo and appointed Muhammed as its guest editor. In 2013, Inspire listed Charbonnier alongside several others in a hit list entitled “A Bullet A Day Keeps the Infidel Away.” The list also included anti-Islam pastor Terry Jones, cartoonist Kurt Westergaard and activist Ayaan Hirsi Ali. 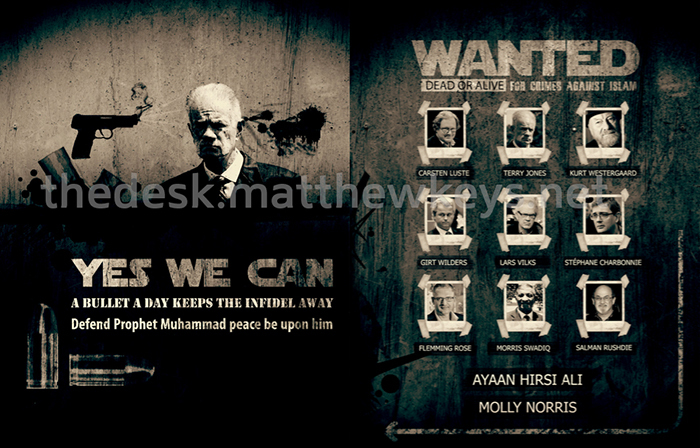 Inspire has been known to publish threats against individuals who ideals seem counter to those of Al Qaeda. Last year, the magazine listed entrepreneur Bill Gates and economist Ben Bernanke as “high profile targets” because of their business contributions in the United States.